We at The Timothy Initiative are committed to maintaining the highest standards of stewardship. 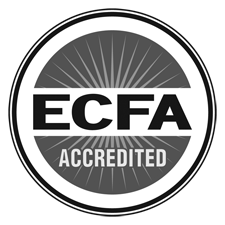 We are accredited by the Evangelical Council for Financial Accountability (ECFA) and annually submit financial statements for audit and review. See below for additional information. The Timothy Initiative (TTI) is a 501(c)(3) non-profit organization. Contributions to TTI are tax-deductible as allowed by law. TTI has complete discretion and control over the use of donated funds.